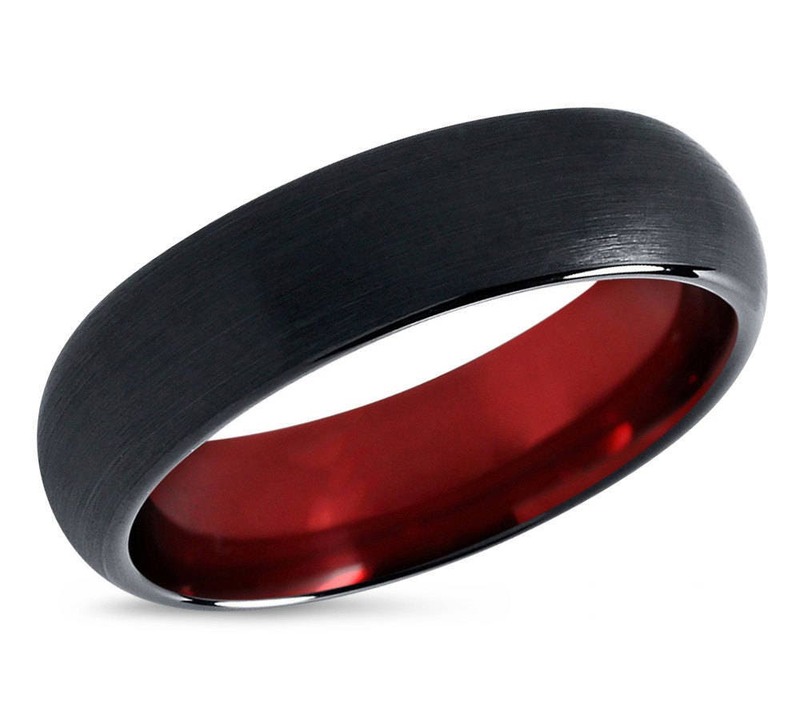 Luxury Black and Red Tungsten Carbide Men's Wedding Band Ring in Comfort Fit and Brushed Finish. In terms of durability tungsten carbide rings are top notch. Tungsten carbide is roughly 10 times stronger than gold and 4 times stronger than titanium. Tungsten carbide will not scratch or fade under normal wear. Tungsten rings are Cobalt Free and hypoallergenic. All around perfect! Regular shipping to Germany took 14 days. I (female) picked the 4mm width with engraving and I love how it turned out. While wearing it, it is a plain black ring. One can only see the beautiful dark red when I take it off. 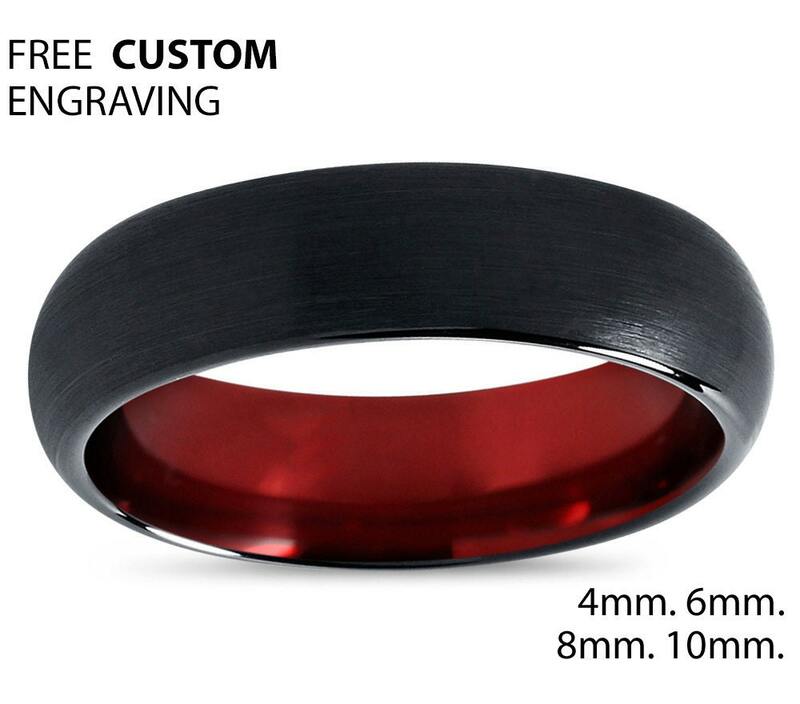 The engraving is so shallow that even the friends that knew about it needed to really look to see it and I love it because for me it adds to the meaning also the whole ring feels very smooth inside an outside. I didn't take it off since the day I got it (over 2 months now) but it literally still looks like it did that day. Couldn't be happier! I love the ring; it came absolutely perfect and the engraving looks amazing! I can't wait to show it to my fiancé - he doesn't get to see it until our wedding day :). I also appreciate how quick Michael was to respond to my messages when I did have a question and the fact that the ring was delivered in such a quick time frame. This whole process has been a very satisfying one and I will be sure to shop for more items from here in the future!